Resume: Alannah Ryan had always suffered in silence, until that silence became so deafening she spilled secrets that she never intended to. 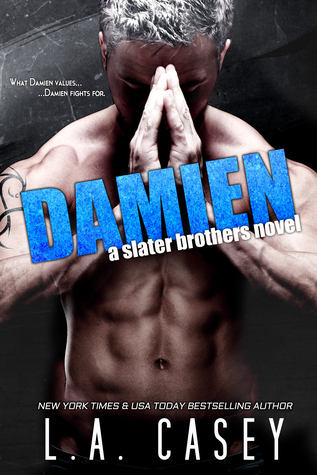 Damien Slater was the reason for every bad thing in the lives of those he loved most. A decision he made when he was just fifteen destroyed his brothers’ lives, and there was nothing he could do to change the things they had endured. Running away helped Damien heal, and returning to Ireland only caused Alannah more pain. Pain he intended to eradicate and replace with the passion he knew they both shared. The story could be amazing but is flat and boring. I was expecting characters richer in personality and the story built differently. I’m actually disappointed with the characters because they were forced to look funny but most times it was unnecessary for the story itself. Besides, the ending was so anticlimax. Not a bad book but definitely not the best of this series which is sad because Damien seemed to be the best character.I feel like I was reading a book from a total stranger character. Both Alannah and Damien were so different. I’m very disappointed.